Where did you go on your honeymoon? What was it like? Were you embarassed or completely at ease? What was the best part of your honeymoon? And the worst part? Share your honeymoon story! Where did you go on your honeymoon? What was it like? Were you embarassed or completely at ease? What was the best part of your honeymoon? And the worst part? Share your honeymoon story! gauri replied. 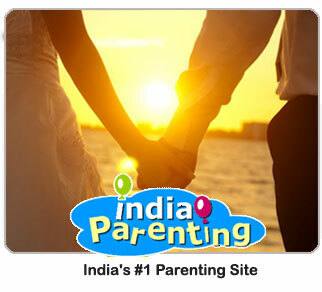 can any1 suggest good place in India for honeymoon?? ?expecting positive respond neha replied. we went to bangalore, mysore n ooty for our honeymoon. but ooty is really romantic place	mdp replied. we went to North India i.e. Shimla, Manali, Dharamshala and Delhousi for our honeymoon. But we like Manali very much. Its a really very romantic place for newly married couple. If i had a 2nd chance for honeymood with my hubby i will sure again go there. sg replied. I went to the beautiful munnar it was simply great the greenery, falls and mountains and the resort was great too. I was slightly embarassed as it was my first outing with anyone and sharing it with my hubby first time but my hubby was very decent and sweet. The most memorable moment was french kiss among mountains when no one was watching. Even though it was a honeymmoon we just got to know eachother by talking and knowing eachother. Ofcourse couple of months later we had another honeymoon in Niagara falls which was great. thank god there wasn' t an embarassing moment though we had our little fights and had lot of love. muskan replied. Manali is the greatest honeymoon destination. U will feel more excited with ur hubby.. grishma replied. well we went to australia and newzealand.. hmm they r amazing places .. queenstown was out of the world.. v know each other for 8 years but it was difficult to stay together honeymoon was lots of fights n lots of love we had good 20 days and .. i wish i could have done more woth time.. yes it is time to settle and realize whether u know each other for long or not that u r diff individuals and u have to work as 1... but the time spent is blissfull	chichi replied. manali is simply the best honeymoon destination. snow capped mountains n i have yet to see a more beautiful drive than that bw shimla n manali. although i have a tendency to vomit n i kept sleeping in my hubby' s lap...in between he would make me get up to see the amazing view around. kritiranjini replied. i went to greece on my honeymoon.. it was simply spectacular. i couldnt have asked for more. the beaches were beautiful and the weather, perfect.. cant go there in the winter though.. too cold.. if you have a summer wedding, honeymoon in greece guys! manoj ahuja replied. it was a real happening ,one just dreams before marriage, it was fulfillment of dreams.in summary beautiful,class,enjoyable,delicious. we went to North India i.e. Shimla, Manali, Dharamshala and Delhousi for our honeymoon. But we like Manali very much. Its a really very romantic place for newly married couple. If i had a 2nd chance for honeymood with my hubby i will sure again go there. I went to the beautiful munnar it was simply great the greenery, falls and mountains and the resort was great too. I was slightly embarassed as it was my first outing with anyone and sharing it with my hubby first time but my hubby was very decent and sweet. The most memorable moment was french kiss among mountains when no one was watching. Even though it was a honeymmoon we just got to know eachother by talking and knowing eachother. Ofcourse couple of months later we had another honeymoon in Niagara falls which was great. thank god there wasn' t an embarassing moment though we had our little fights and had lot of love. Manali is the greatest honeymoon destination. U will feel more excited with ur hubby..
manali is simply the best honeymoon destination. snow capped mountains n i have yet to see a more beautiful drive than that bw shimla n manali. although i have a tendency to vomit n i kept sleeping in my hubby' s lap...in between he would make me get up to see the amazing view around. i went to greece on my honeymoon.. it was simply spectacular. i couldnt have asked for more. the beaches were beautiful and the weather, perfect.. cant go there in the winter though.. too cold.. if you have a summer wedding, honeymoon in greece guys! it was a real happening ,one just dreams before marriage, it was fulfillment of dreams.in summary beautiful,class,enjoyable,delicious.